Canadian Solar announced that its wholly owned subsidiary, Recurrent Energy, one of North America’s largest solar project developers, signed an agreement with Southern Power for Southern Power to acquire a controlling interest in the 200-MW Tranquillity Solar Power Project in California. The project, developed by Recurrent Energy, is currently under construction. Under the terms of the agreement, Southern Power will acquire approximately 51% of the solar generation project. 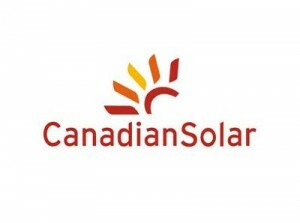 Canadian Solar will retain 49% ownership and contribute its share of the investment required to complete the construction of the project, which the company has fully financed through a construction and back-leveraged loan facility with a syndicate of six banks. The Tranquillity project, covering an area of 1,900 acres in Fresno County, is expected to reach commercial operation in the fourth quarter of 2016 with Signal Energy Constructors as the provider of engineering, procurement and construction services. The project is expected to generate enough clean solar energy to power approximately 55,000 homes. The electricity and associated renewable energy credits (RECs) generated by the facility will be sold to Southern California Edison under a 15-year power purchase agreement. Recurrent Energy has more than 4 GW of solar projects in development in North America. More solar utility development news? Sure thing.